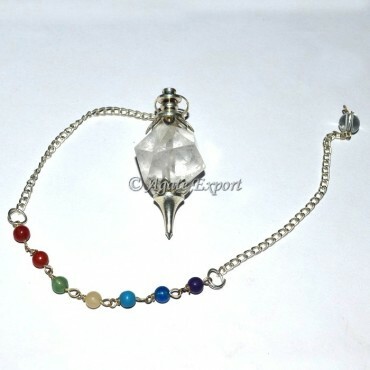 Crystal Quartz Decagon with Chakra Stone Pendulum at Lowest Price. Crystal Quartz knows as a ?Master Healer? Which is amplify the energy. And Chakra stone is used for balancing the energy of body and mind. Combination of these both are giving the best enhancing healing product with more benefits. Place the order at Agate export.